Rose Macaulay (1881—1958) published her penultimate novel, The World My Wilderness, in 1950, at the age of sixty-nine; yet she chose to place an adolescent at the centre of her narrative. This anticipates Colin MacInnes’ decision, in Absolute Beginners (1959), to explore a teenage perspective upon London, although if we examine the novels alongside each other, the gulf between them—in terms of characterization, atmosphere and cultural context—is striking. Where MacInnes portrays a late-fifties world in which the teenager represents a new Britain, consumerist, sexually liberated, scornful of traditional social divisions, and multicultural, Macaulay’s heroine, Barbary, is burdened by the trauma of the war (the novel is set in 1946). She can be seen as an embodiment of fears that are characteristic of the wealthier classes she comes from: that the war has destroyed deferential social structures which previously maintained order; that the new ‘post-war settlement’ will give the working classes a far stronger voice and influence than ever before. Despite these obvious differences, however, it is noteworthy that in the post-war era, both MacInnes and Macaulay turn to adolescent perspectives. 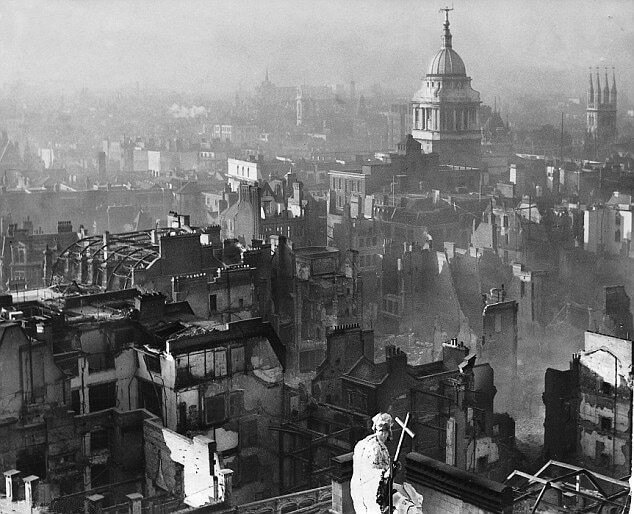 The divergences between the texts are, in part, a measure of the explosion of teenage identity between the end of the war and the late 1950s: while it is evidently a nascent phenomenon in Macaulay’s story, MacInnes’ novel documents the confidence and liberation with which young people are exploring this new London. Both novels gaze into the future, and try to imagine how the social, cultural and economic upheavals of their respective periods will be played out in the following decades, as their protagonists reach adulthood. Barbary is a seventeen year-old transplanted from post-war southern France (where she has been living with her British mother, Helen, for seven years) to the London home of her father, Gulliver, and his new wife Pamela. Although born in Britain, Macaulay’s heroine has been shaped by her wartime experiences as part of the French Resistance. Exploring the forests around Collioure, in the foothills of the Pyrenees, Barbary (whose name is obviously symbolic of her ‘uncivilized’ nature, although the meanings of ‘civilization’ and ‘barbarism’ form the central ambiguity of the novel) has developed a system of values and beliefs reflective of the Resistance’s guerrilla mindset. The protection of the region—the first of the novel’s several ‘wildernesses’—against alien interlopers is everything; defining the enemy, however, is not always simple. this is the maquis that lies about the margins of the wrecked world, and here your feet are set; here you find the irremediable barbarism that comes up from the depth of the earth, and that you have known elsewhere. ‘Where are the roots that clutch, what branches grow, out of this stony rubbish? Son of man, you cannot say, or guess....’ But you can say, you can guess, that it is you yourself, your own roots, that clutch the stony rubbish, the branches of your own being that grow from it and from nowhere else. 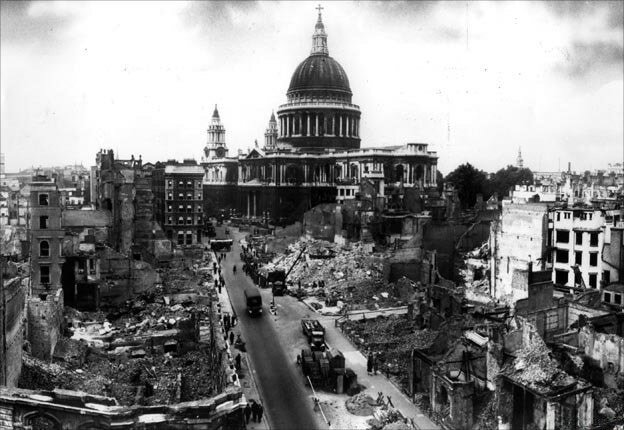 The Waste Land acquires a disturbingly prophetic quality as Macaulay uses it: once a metaphor for the moral desolation of post-World War One Europe, the poem now also anticipates the literal ‘stony rubbish’ to which Europe’s cities have been reduced. This passage demonstrates Macaulay’s willingness to gradually but inexorably pull her narrative perspective away from the ostensible perceiving subject. While Barbary is the character who explores this ‘wrecked world’, the second-person narrative voice is not hers; she certainly is not familiar with The Waste Land, being ‘so ignorant, she can barely read’; and Macaulay’s use of this device therefore feels like a direct address to the reader from a shadowy, omniscient narrator. We seem complicit, ethically implicated, in the moral collapse the passage describes, or at least unable to escape it, since this ‘stony rubbish’ forms the foundations of the postwar world. The World My Wilderness, then, uses Eliot’s poem to signify both physical and cultural desolation, the apparent triumph of ‘barbarism’ over ‘civilization’. Its pessimism discloses anxieties about the post-war British landscape, literal and figurative, common among the wealthier classes following the 1945 Labour victory: fears that economic redistribution and class levelling will lead to the irrevocable loss of some essential English aestheticism, delicacy or civility; and that modernist urban planning will destroy the character of towns and cities. Although Barbary’s ‘anarchist’ temperament is ostensibly a product of her time in France, she functions as a manifestation of such fears, of the belief that the post-war generation will refuse to accept the social norms, hierarchies, and aesthetic values of the past. Yet Macaulay’s narrative position is characteristically complex and ambiguous on such questions. When Barbary’s father tells her ‘you’ll have to learn sometime to fit into the society about you’, she wonders ‘what society he meant’. British society has been revealed as multiplicity; previously invisible social groups, like the working-class adolescents Barbary befriends among the ruins, are demanding a stake in this new world. Rather than being forced into the upper middle-class role her father envisions for her, Barbary will be able to forge new social connections and negotiate her own existence. This spontaneous adaptation to the ‘wilderness’ in which she finds herself is mirrored in the fauna of the ruins: ‘dense forests of bracken and bramble, golden ragwort and coltsfoot, fennel and foxglove and vetch, all the wild rambling shrubs that spring from ruin’. Macaulay suggests that Barbary’s growth amid the wilderness will ultimately lead to a strong and distinctive social identity. Moreover, she will be part of a society that, through gradual progress towards democratization and cultural diversity, reflects the biodiversity, spontaneity and adaptability of the ruins. The ‘society’ that Gulliver seeks to force Barbary into, then, is ‘a solid, improbable world [...] less real, less natural than the waste land’. Macaulay's unusual pairing of adjectives captures the sense of paradox that permeates the novel: how can hegemonic values and norms be simultaneously ‘solid’ and ‘improbable’? The answer is that, while these ideas appear to be still dominant, they are really revenants of a declining social order. Barbary’s experiences have taught her to mistrust authority, and the seeds that will eventually result in Colin MacInnes’ confident and independent teenager have been sown. When Gulliver questions Barbary about her rebellious behaviour, she recalls her experiences of interrogation during the war: ‘Her mind flinched at the familiar words. I want an answer; I mean to have an answer; you had better speak at once, before we make you’. In one sense, Barbary is delusional, confusing the genuine threat to her safety during the war with adults’ attempts to socialize her. But in another sense, she is making a connection between all forms of authority, all attempts to control and regulate behaviour, which cannot be stifled by appeals to a defunct rationality. The supposed legitimacy of older generations has been undermined by the catastrophe of the war. Barbary finds herself in an existential crisis: she must create her own values, since she instinctively recognizes that nobody can do it for her. Indeed, the novel’s older characters themselves no longer really have faith in the ideas which they half-heartedly attempt to impart, as Helen acknowledges: ‘The crook in all of us is bursting out and taking possession [...] We shall all go down and down into catastrophe and the abyss’. At the heart of this theme is religion and spirituality. If Western culture is viewed in dualistic terms, as a struggle between ‘civilization’ and ‘barbarism’, then where do religious beliefs and values—which cannot be reduced to the kind of rationalist, Enlightenment assumptions that the former suggests—fit in? To the abbé in Collioure who visits Helen, the Catholic church is surrounded by ‘the wilderness outside’; to leave it ‘is to be lost indeed. And that, alas, is what so many of the sons and daughters of the Resistance are now doing’. But what Barbary is really doing in her explorations of wildernesses, literal and figurative, is negotiating a new relationship with spirituality. 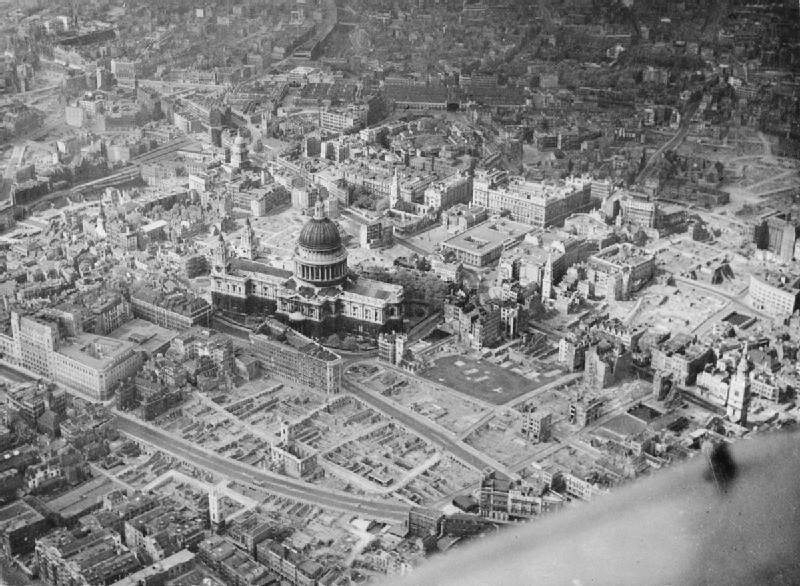 Significantly, the buildings within the bombed area that have proved most stable, and that now provide the safest refuge, are the churches. Barbary and her friends play jazz records, drink beer and paint in these spaces, repurposing them towards bohemian and deviant ends; but she is fascinated by their atmosphere, and evolves her own unorthodox relationship with religion. Waking, cramped and chilly, in the faint beginnings of dawn, she looked out from her terrace over the cold grey tumbled waste, the cratered landscape of the moon, and saw the great dome riding beyond it, pale curve of dove grey against a dove’s breast sky. Mighty symbol dominating ruin; formidable, insoluble riddle; stronghold, refuge and menace, or mirage and gigantic hoax? Accepting it as the former, Barbary saluted it with a deprecatory sign of the cross. Barbary accepts the cathedral’s spiritual authenticity, but it is in fact all of these things. The building is a representation of the hegemonic social, political and economic powers deeply entwined with the Church of England, a ‘gigantic hoax’ which has been part of the ruling classes’ ideological apparatus for centuries. Yet in her liberated and idiosyncratic relationship with such spaces, Barbary is learning to create her own form of spirituality, which might be reconciled with the new socio-cultural landscape of Britain. As Helen thinks to herself: ‘the maquis is within us, we take our wilderness where we go’. What Macaulay suggests is that the wilderness within Barbary does not signal the opposite of ‘civilization’, but rather a critical renegotiation of this concept. Sam Wiseman received his PhD in English Literature from the University of Glasgow in 2013. His first book, The Reimagining of Place in English Modernism, was published by Clemson University Press in 2015. He is currently undertaking a postdoctoral research project, Locating the Gothic in British Modernity, at the University of Erfurt, Germany. T.S. Eliot (2002), The Waste Land and Other Poems (London: Faber & Faber). Lara Feigel (2013), The Love-Charm of Bombs: Restless Lives in the Second World War (London: Bloomsbury). Rose Macaulay (1988), The World My Wilderness (London: Virago). Colin MacInnes (2011), Absolute Beginners (London: Allison & Busby).